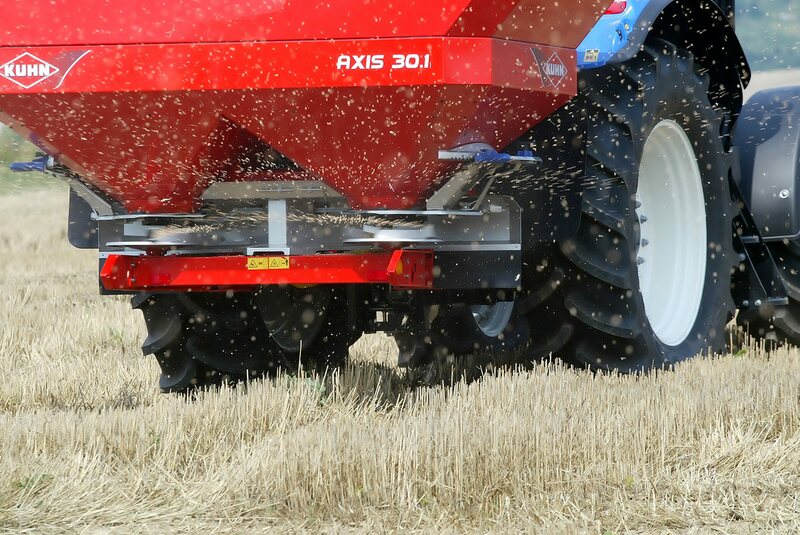 When was the last time you calibrated your fertiliser spreader? If you ignore this crucial job you are throwing money away with wasteful application of an expensive commodity. If you don’t have a calibration kit you can get your local dealer to calibrate the spreader for you. This shouldn’t cost any more than €250. It’s a good idea to have the spread pattern checked at least once every two seasons, and this is usually done using a tray test. A tray test is simple. After laying the trays out across the machine’s spreading width, a run through the trays is made with the tractor and spreader as it would be operated in the field. Fertiliser collected in the trays is then transferred into corresponding test tubes and the contents are recorded. From this data something called the Coefficient of Variation (CV) is calculated by measuring the variation in each tray from the average. The lower the CV, the better. A CV of 10-15pc is acceptable and will prevent crop striping. However, surveys indicate that a lot of spreaders in use today have CVs of 30pc or more. Research shows that improving the CV from 30pc to 10pc will bring a yield benefit of around 0.25t/ha in wheat. If the result of the first run is unsatisfactory, adjustments are made to the spreader settings until an acceptable CV is obtained. If your CV is off target it is best to consult with your dealer to discuss a plan of action. the spreading discs should be slightly higher on the back than on the front. 2 Ensure the top link is set at the correct level. Top link level changes as spreading width changes. 3 Tighten the lift arm stabilisers to prevent the spreader rocking on rough ground, and make sure both lift arms are level to minimise bias. 4 Once you set your forward speed is set it is essential to maintain the same forward speed all the time, e.g. 10km/hr. 5 At the headlands, shut off the spreader once the back wheels of the tractor meet the inside track of the headland run. This prevents covering an area already spread. 6 Fertiliser is thrown backwards as well as sideways. If your spreading width is 12m, wait until you are 9m out from the ditch before turning on. 7 Cover the spreader hopper to keep the fertiliser dry and spreadable. 8 Make sure the agitator is running freely. 9 Check the spreading vanes for wear, pitting or indentations. Vanes on a 12m spreader typically last 3-4 seasons, an 18m spreader 2-3 seasons and a 24m spreader 2 seasons. A new set of vanes cost from €350-€450. 10 Keep your spreading charts for different fertilsers in the tractor at all times.